The existence of the bamboo plant in China’s Zhejiang Province dates back more than 7,000 years, according to records of that period. However, bamboo was indigenous to China from prehistoric times. Besides its natural beauty as an indoor and outdoor plant, bamboo has a multitude of uses that has made it a worldwide favorite. More than 5,000 years ago, tree houses in China were constructed of bamboo, foreshadowing the important role bamboo would eventually play in the construction industry. Records also show the use of bamboo to make paper and books during the Han Dynasty (206 B.C. to 221). By the Ming Dynasty (1368 to 1644), the Chinese were making bedding and flooring from bamboo. China completed a classification of more than 60 varieties of bamboo during the Chin Dynasty (265 to 420). Bamboo is the fastest-growing plant in the world, and there are about 1,500 known species. A major advantage of bamboo is its ability to regenerate after it has been cut, which ensures a continuous abundance of supply. While bamboo is indigenous to China, it is not native to Canada, Europe, Antarctica or Western Asia. Over the centuries and still today, every part of the bamboo plant serves a purpose in Chinese traditional medicine and cuisine. Bamboo leaves soothe body heat and phlegm, while the root stimulates vital energies and the juice is thought to cure asthma. It is also believed that the antioxidants contained in bamboo can assist the body to fight cancer. Bamboo shoots, which have a high content of fiber and potassium, remain popular ingredients in Chinese cooking. Bamboo is the staple food of China’s famous giant pandas that are believed to have first roamed the earth between two and three million years ago. 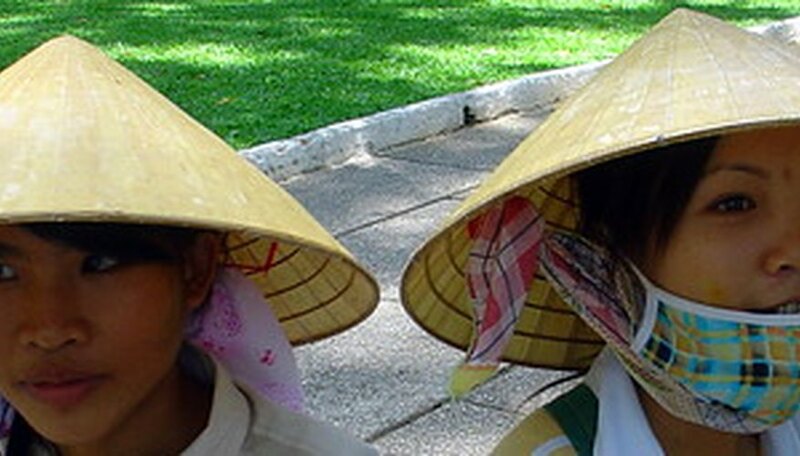 Their existence was not known in the western world until 19th century traders went to China. 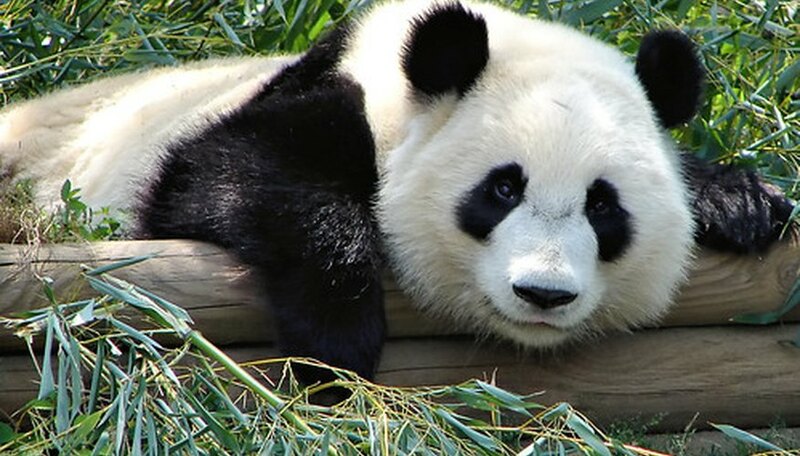 The pandas are also called “bamboo bears” and they eat every part of the bamboo plant, in keeping with their vegetarian diet of up to 85 pounds of bamboo daily. Researcher Anna Lewington writes in the 1990 publication, “Plants For People,” that there are more than 1,000 different products made from bamboo. Possibly one of the least publicized is bamboo wine, created in Tanzania from species of wine bamboo called Oxytenanthera braunii. Bamboo is also used to make bows, arrows and swords for the Japanese martial art of kendo. In Peru, Bolivia and Ecuador, craftsmen fashion musical instruments such as flutes and panpipes from native bamboo. In Asian cities like Hong Kong and Macau, bamboo poles were once the predominant choice in scaffolding for the construction of buildings. 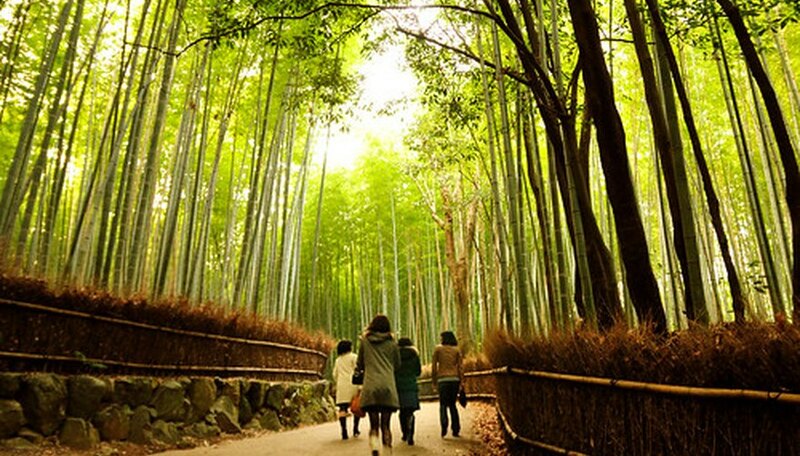 In Hiroshima, Japan, it was bamboo that returned the landscape to greenery after the atomic blast of 1945. In 1979, admirers of bamboo formed the American Bamboo Society. Today, the society’s website provides a wealth of information about the use, care and propagation of bamboo--and the opportunity to join.